When a spouse or significant other desires to control their victim they speak in tones, give looks or gestures, or threatening the victim into being powerless over a situation. Before I go on, let me say something. Women in mentally and verbally abusive relationships don’t see themselves as victims nor do they see their spouses or significant other as an abuser. But that IS what they are. One who is being controlled, manipulated, bullied, threatened, physically abused, and not treated with respect and love and kindness is being abused; and thus a victim. And the controlling, manipulating, bully is an abuser. That I know is hard to accept, it takes your relationship to an entirely different level, but it’s important to realize and accept that when you are being treated as such you become aware of it. Verbally Abusive Relationships and Mentally Abusive Relationships are sometimes harder to define because you can’t see the physical bruises, broken bones, bleeding and such. But in many cases, verbal and mental abuse is more serious. The bruises, bones and cuts heal but the verbal and mental abuse last, in many situations, for years and even decades later after a woman leaves an abuser. One lady I worked with was involved in a few emotionally abusive relationships. Every year she would jump from one bad relationship to the other. She kept saying to herself she wanted better, but kept finding herself with another abusive man. During our time together I asked her to write down what each man did to her, said to her and what happened to her as a result of the abuse. She realized that in each of the emotionally abusive relationships that each man had very similar patterns (she didn’t notice those patterns before). 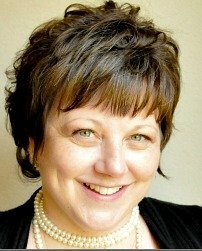 Abusers are in fact quite similar in their patterns. 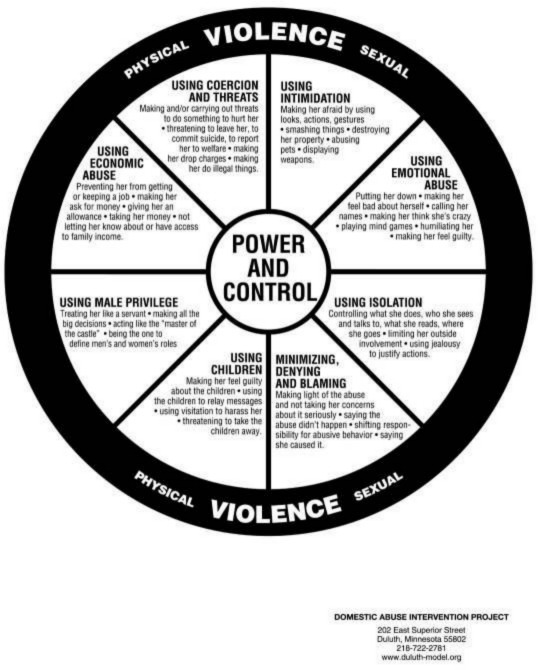 Research and Studies have shown that behaviors of abusers fall under the 8 categories (see Duluth Model Wheel below). Minimizes or blames the victim for abuse done to them.